How much food does North America waste every year? The United States wastes 30-40% of the food supply, which equals to 20 pounds of food per person every month. In the USA, food waste is part of the overall organic waste, which is the second highest component for landfilling. Landfilling is the largest source of methane emission in North America. For instance, the state of Florida generates 396K tons of tomato waste in the United States every year since tomato is a key produce in Florida. But there is no technologically efficient process of turning food waste into energy. However, thanks to a group of Indian students in the USA who have found a solution to generate electricity from food waste in America! Large amounts of waste food including damaged tomatoes are thrown away in the USA since they are not suitable for sale in grocery stores and supermarkets. The looming picture of food waste in America made Namita Shreshtha from South Dakota of Mines & Technology think about a process of turning waste food into energy. It led her into collaboration with researchers at Florida Gulf Coast University and Princeton University. The collaboration has led to a possible solution to turn food waste into power and that is a biological or microbial electrochemical cell. The microbial electrochemical cell can be used to treat damaged tomatoes and other waste food items to generate energy. The use of bacteria in microbial electrochemical cells triggers the oxidation process to break organic composition of waste tomatoes and release electrons which carry electrical charges. This solution may also be used to purify tomato-contaminated solid waste and waste water. 0.3 watt of electricity is the output from 10 milligrams of tomato waste. The result of their first experiment is quite small at this stage. 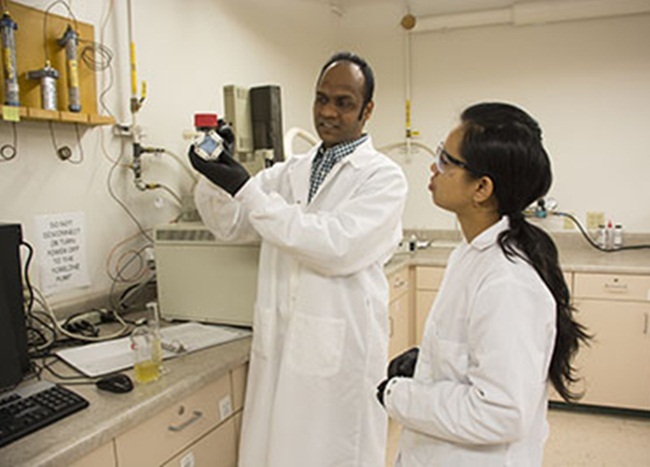 Namita Shrestha expects that more research on the project and further development of the microbial electrochemical cells will increase electrical output from oxidation of damaged tomatoes and other food waste in America. Electricity from tomato waste in Florida can power Disney World for 90 days, according to theoretical calculations by Venkataramana Gadhamshetty, an assistant professor at South Dakota of Mines & Technology, who is one of the researchers in collaboration with Namita Shreshtha on this project.